A classic green bean casserole recipe made extra special with buttery sauteed mushrooms! Because I have so much going on in my kitchen on holidays I always go for the quick and easy recipes that still pop with that wow-factor. Like this Supreme Green Bean Casserole! It literally takes minutes to prepare but it looks and tastes like something you spent hours on. 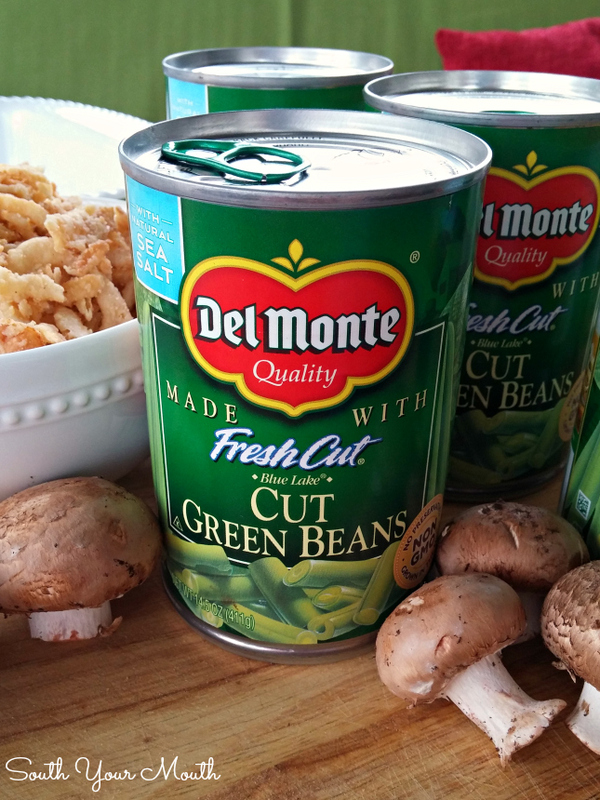 The secret is to use canned green beans then dress them up with buttery sautéed mushrooms! Yes, canned green beans! Cook beans (with liquid) in a saucepan over medium heat for 20 minutes or until ready to use. It's necessary to do this to "cook the can out of the beans" as my friend, Sandy would say. Meanwhile, sauté mushrooms in butter in a large skillet over medium-high heat. Season with pepper then cook until mushrooms are golden brown. Set aside. Combine mushroom soup, milk, garlic, salt and onion powder in a large mixing bowl and whisk until smooth. 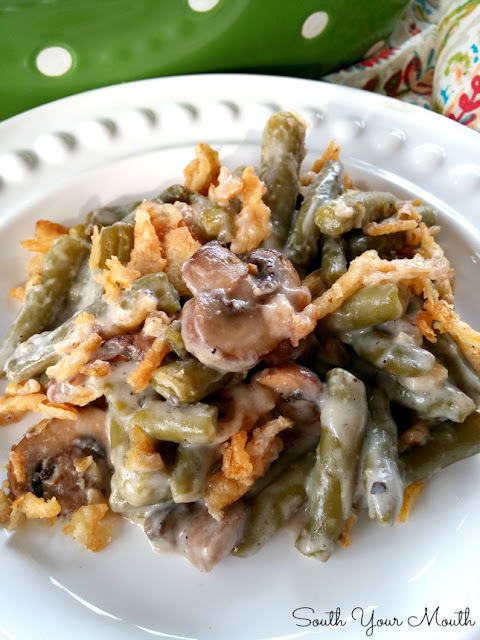 Drain green beans well then add beans, mushrooms (with butter) and 3/4 cup of fried onions to mushroom soup mixture then gently stir until combined. Spoon mixture into a 2-quart baking dish then bake, uncovered, at 350 degrees for 20 minutes. 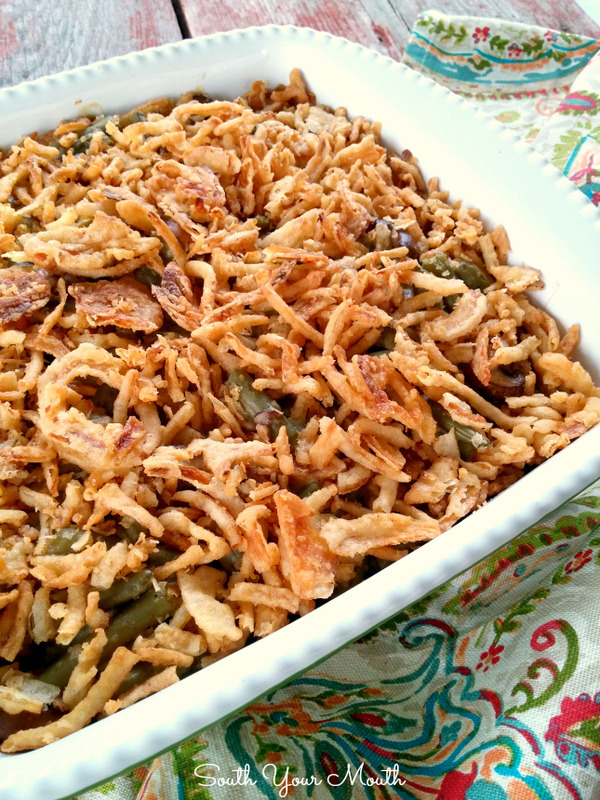 Remove dish from oven then top with remaining fried onions. Continue baking for 10 minutes then serve. If you use unsalted beans or butter or low-sodium soup, increase salt to taste when combining ingredients. You can omit mushrooms if preferred. Replace mushrooms and butter with one additional can of cream of mushroom soup plus 1/4 cup milk. Cooking the beans before adding them to the other ingredients gives them a more "from scratch" flavor. Do not prepare soup before adding to recipe. This is a sponsored conversation written by me on behalf of Del Monte.